Source: Lang, A. (Ed.). (1906). The Brown Fairy Book. London: Longmans, Green & Co.
Cannetella doesn’t wish to be married, but agrees to do so if her father finds a man to fit her outrageous demands. Her insistence leads her to trouble, when her husband treats her poorly. She manages an escape, but her husband pursues her, using magic to try to capture her once more. One of seven daughters is the only to obey her father’s orders. She is left alive to escape, but finds herself living as the daughter of an ogre. A prince asks for her hand, but the ogre forbids her to speak unless he addresses her with the special words. A thoughtless fairy enchants a fountain without considering the effects of the enchantment. Beyond destroying the town, the mistake takes effect against the young wards of another fairy. The fairies try to discover a way to undo the mistake and reunite the young lovers. A young prince is offered whatever he likes best, but to his father’s dismay, he chooses a princess who is trapped by an enchantment. On his way to reach her he meets with three men, each with a special skill. Together the four men are able to work together against the magician’s spell. A simple boy is driven into the world by his mother’s treatment of him. He meets with an ogre, who treats him well and assists him. The ogre allows him to visit his family, but his ignorance leads him into trouble twice. The third visit brings more wisdom, and the rewards that come with his new knowledge. A fisherman and his wife wish for sons. An old woman tells the wife how to get the sons she wishes for. When the twins grow, they wish to go into the world. The first brother goes on adventures, until the signs of distress bring his brother to his aid. A king who has not been able to have children makes a promise, only to find that he has given up his only child. The prince determines to find a way out of the promise, and completes several tasks with the help of the princess. Lang, Andrew. The Grey Fairy Book. Lit2Go Edition. 1906. Web. 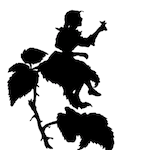 <https://etc.usf.edu/lit2go/143/the-grey-fairy-book/>. April 20, 2019. Andrew Lang, The Grey Fairy Book, Li2Go edition, (1906), accessed April 20, 2019, https://etc.usf.edu/lit2go/143/the-grey-fairy-book/.